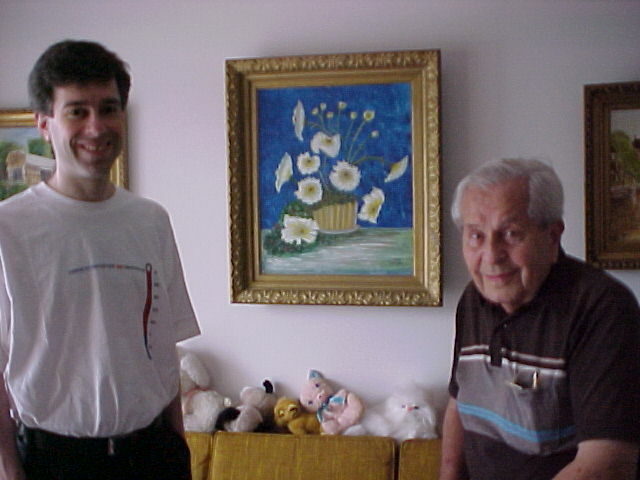 A photo of me and my grandfather, George Goldzweig, taken in his home in Pompano Beach, Florida on July 7, 2002. This was a week after his 96th birthday. In the background are some of his paintings. This is an image of my grandfather out at a pizzaria, taken a few months later.